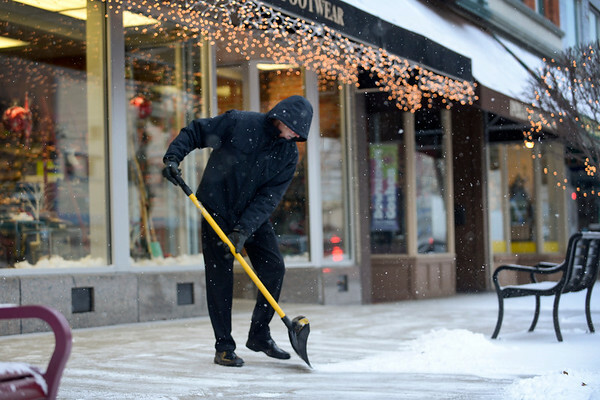 Scott Woldruff of Goshen shovels snow outside his business, Woldruff's Footwear & Apparel, early Thursday morning in downtown Goshen. Thursday's snowfall was the first of the winter. "I'm ready for winter," Woldruff said. "I like the festivities that come with it."